This program is for ages 3-5 and consists of five main areas including Practical Life, Sensorial, Language Arts, Math and the exploration of Physical, Cultural and Natural Worlds. The children are given individualized instruction by a Montessori certified lead teacher. Lower Elementary is a dynamic multi-aged classroom for first, second, and third graders. The Montessori Lower Elementary curriculum inspires students to become independent learners who appreciate and understand their world. 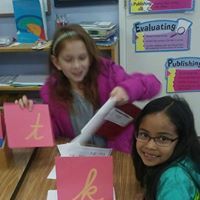 Integrated studies provide students with unique and age-appropriate materials that help them to become accountable for their use of time, for accuracy in their work and to evaluate their strengths and areas for growth. Upper Elementary is a multi-aged classroom for fourth, fifth, and sixth graders. The Upper Elementary curriculum is designed to be responsive to the social, emotional, and academic needs of students ages 9 -12 years old. The classroom is a learning laboratory where children discover, explore, and expand their knowledge of academic subjects of major interest, and become their own person. At Montessori de Santa Cruz, the gardening program offers a unique environment that fosters our students’ academic, social, and emotional development. The students learn practical aspects of organic, sustainable gardening as well as enrichment in the sciences. The Montessori de Santa Cruz music program goals are for the child to respond to music, perform music accurately, and eventually create music for the public, doing it so well to create, perform and promote cultural understanding and diversity through the love of music expression.